Welcome back for another weekend coffee. What can I get you? Coffee? Tea? Water? Maybe you’re hungry? I’ve got some crepes with either a homemade sour cherry jam or spinach and dried tomatoes. How has your week been? Anything exciting happen since we spoke last? If we were having coffee, I’d tell you it’s been an amazing week. Nothing significant happened, but everything is different. I feel different. I feel more alive, truly living. Everything is more vibrant, smells and tastes more intense. I feel at peace but also ready for action. I am not sluggish or lethargic, which is common for me this time of year. Life is wonderful and beautiful. A few nights ago, I dreamt I saw a nebula from Earth. The sight was beyond imagination – full of color and awe-inspiring. That’s how life feels right now, as if the whole universe has opened up before me. I am in awe of it all. I feel myself opening up to the magic of life. I don’t know what this all means to me or how it translates into the everydayness of life. There are still dinners to be made, bills to be paid, trash to be thrown out. and work to be done. Life continues, but somehow different. And not so far away there are people suffering. People in search of a better life, of a safe place to sleep at night. I don’t know how to make room for it all within me, how to reconcile it all. If we were having coffee, I’d tell you this week has been about physical activity and somehow getting the rest to fit in. I’ve been bike riding a few days a week. I even went one day in the rain and wind. It was a difficult but satisfying experience. I also added swimming into the mix. While the weather is nice, I’ll be swimming 1 day a week, and increase as there are fewer and fewer decent biking days. I signed up my little broccoli lover for break dance lessons, which he is very excited about. I didn’t realize giving him something I’d also be giving myself something – an additional two hours of guilt-free reading time a week. Hurray for break dance! If we were having coffee, I’d also tell you that I signed up for a MOOC (massive open online course) on Coursera called “Sharpened Visions: A Poetry Workshop” from CalArts. I’ve done week one and the fact that it started with the analysis of a poem by Gwendolyn Brooks is a good sign for me. She is one of my favorite poets. I like taking online courses, especially ones I hope will improve my skills in some way. Have you ever taken a MOOC? I’ve taken several and I always enjoy them. I’m looking forward to the many things happening in the blogosphere in the near future. First of all, I have a great lineup for my Monday Inspirations series, including Solveig Werner tomorrow, and Sacha Black and Ruth of Silver Screenings in the following weeks. Maybe you’d like to contribute? 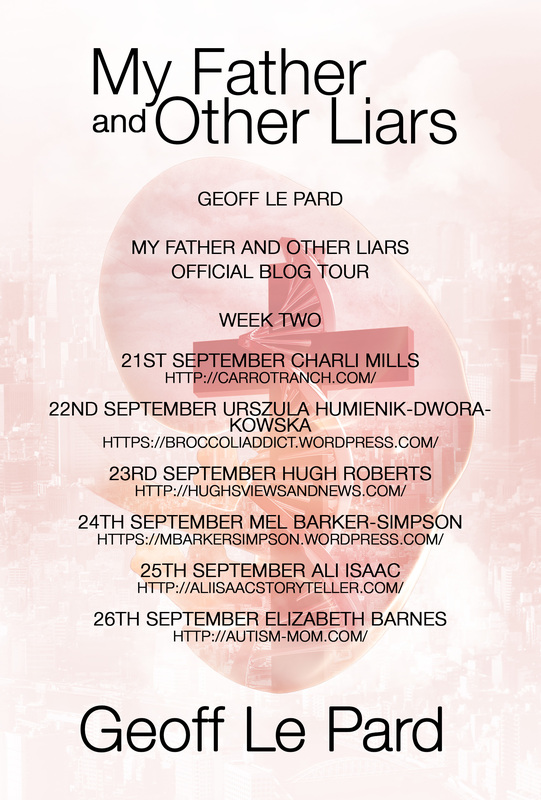 This upcoming week, Geoff Le Pard is beginning his blog book tour for My Father and Other Liars. During his tour, he’ll stop by this little blog in week two to tell us about the impact of fathers on their children. Thank you so much for visiting again. I’ll see you next week. Now hop on over to Part-Time Monster and check out other bloggers sharing coffee. I did find one I started with MIT but ended up downloading the class material and purchased the recommended book then completed it on my own. It was a very interesting class on Short Stories. I’ll have to browse the Coursera link you provided. I think it’s more important to get something out of the courses than just complete them. I often don’t complete some of the courses I sign up for, but I always learn something new or necessary for me at that time. I smiled the whole time i read this.. I love to make others smile. Thank you. It is so great to read about your happiness and you general well being. Do enjoy the break dance free time. I’m looking forward to your post. I’ve been really short on reading time recently, so I’m really glad to have those two hours each week. I’ll have to look up that MOOC! I’m taking ModPo from UPenn Kelly Writers House… also a good one! Sour cherry jam on crepes with black coffee sounds delightful. I’ve missed swimming this summer in the cool river ripples. “Break” dancing is you break! I know children loved their activities. My son studied ballet and then got involved in track and cross country. He swing dances now (and still runs). May that universal openness manifest in your daily life, too. My son has been interested in break dance since about he was two, but classes are for ages 6 and up, so he is finally learning something he’s been into for a long time. A few weeks ago, we took him to parkour training and he’s fallen in love with that as well, so I think we may have to sign him up. He needs a lot of movement or otherwise he has problems falling asleep and drives us crazy. The crepes turned out real well, especially considering they are vegan and almost gluten free (a mix of oat, buckwheat and amaranth flours). We’ve done so much experimenting cause I love crepes but am allergic to wheat. I swim in an indoor pool, but I may go for a last swim outdoors next weekend. Well I’m reading this at 11pm but I’ll have a crepe with sour cherry jam please. Sounds like a very inspiring week you’ve had, Ula. And I’m looking forward to the upcoming Monday Inspiration posts as well as Geoff’s post on fatherhood! Mint tea would go well with that. I’m quite proud of the Monday Inspirations posts. 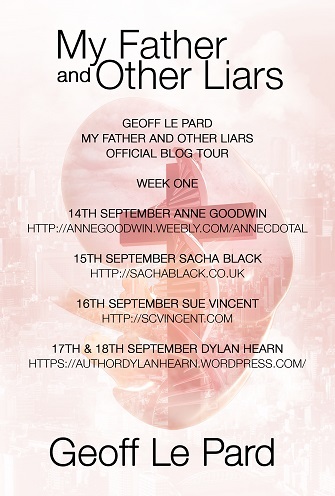 So happy I came up with that series and so many wonderful bloggers want to contribute. Geoff is such a talented writer. You should be, it was a fantastic idea that is clearly engaging a lot of people. I’m about to have some coffee. Would you send a crepe my way? I haven’t actually participated in any MOOCs yet, but I think that’s one thing I want to do in the coming year. There’s so many good MOOCs. I did one philosophy class and the lecturer taught various meditation and breathing techniques. It was a really great experience that led me to developing my own meditation practice. He’s really into the break dance classes. Luckily, he likes his teacher, who seems pretty good with kids. Enjoyment is so much more important than talent. Tea would be lovely, thank you. 🙂 I know that feeling of having discovered the magic in life, and then trying to figure out how it all fits in. The poetry course sounds really interesting. I’m currently trying to learn Italian for no real reason other than the learning of it (and because I’ve always liked the sound of it). Did you figure it out, Robin? I’m so happy to read and witness your transformation, Ula. I can feel how much lighter and happier you sound – amazing. Thanks, Gulara. I hope I can integrate it into my every day.